Interesting News for Bavarian Springboks! Thank you so much for the generous donation towards our Phumelela Saturday programme. Your ongoing support of this programme is truly appreciated. Our programme continues to help young people who come from very disadvantaged backgrounds. 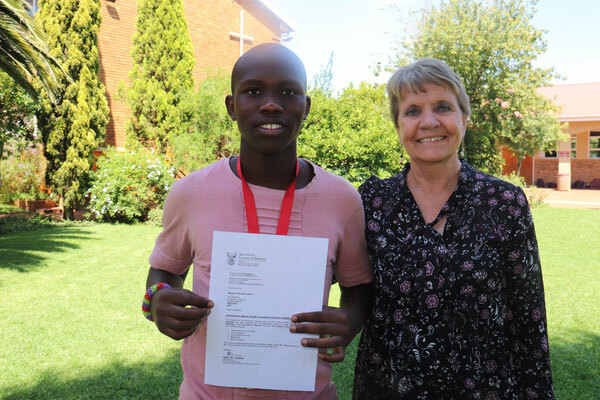 We had wonderful news in January: one of our 2018 matric students, Glen Mlambo, achieved wonderful results. He got 85% for Maths, 96% for Accounting, 85% for Business Economics and 91% for Economics. He will be studying a BCom at Wits university. 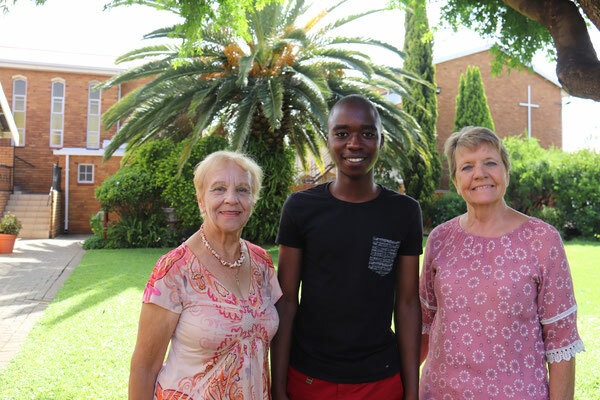 One of 2017 matric, Papi Kubheka, has been granted a full bursary from the Department of Agriculture to do a BSc in plant pathology at the University of Pretoria. We are so proud of these young people and it is our Debutantes, who raise so much money for the programme, as well as generous donors such as you that make it possible for us to do this wonderful work. Save the date. If you aren't yet registered to vote, or you know of a South African abroad who isn't registered, then please take note - overseas voter registration will take place from 1 - 4 February 2019 at 120 South African foreign missions. STEP 1️⃣ Check your registration status on the IEC's website. If you are already registered to vote in South Africa, you DO NOT need to re-register in order to vote abroad. STEP 2️⃣ If you are not registered and wish to do so, please bring BOTH your valid SA Passport & ID Book/Smart Card in order to register at your nearest SA foreign mission. STEP 3️⃣ Once registered you will need to submit a VEC10 form on the IEC website informing them where you intend to vote abroad. This form will only be available once the date of the election is announced, and you will only have 15 days to do so. The date for the election has not yet been confirmed, but is expected to take place in May 2019. Please join our Facebook event for the overseas voter registration weekend to receive the latest updates and also to invite other South Africans living abroad so they don't miss out. EVERY VOTE COUNTS! DA Abroad Leader, Francine Higham, addresses the ongoing frustrations with the lack of improvement to access to voting abroad in the Daily Maverick. Despite the DA's numerous attempts to address the issues with the IEC and government, little progress has been made. In fact, quite the opposite, with South Africans being turned away from registering to vote at some foreign missions, and our Private Members Bill which sought to address these issues flatly rejected by the portfolio committee on Home Affairs. Even today, our proposed amendment to the Electoral Laws Amendment Bill requesting more voting stations abroad was blocked by the Chairperson of the NCOP, Thandi Modise. Unless the IEC and Dirco show a genuine commitment to ensuring the rights of ALL South Africans abroad to vote by increasing the number of voting stations and holding overseas voting on a weekend, while taking immediate steps to resolve the issues experienced by those attempting to register at South Africa’s foreign missions, the 2019 national election may not be deemed free and fair. Copyright © 2019 DA Abroad, All rights reserved. 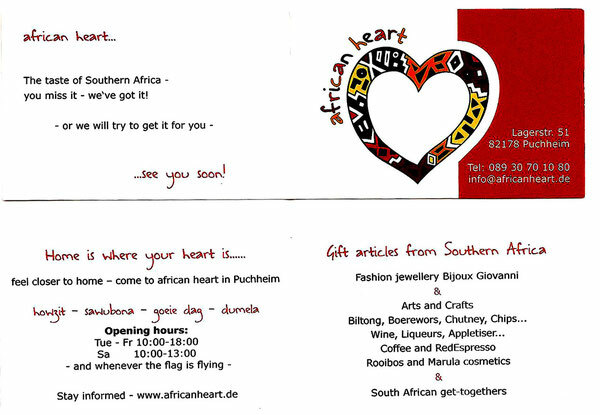 A new South African Shop has recently opened! Community Service Project – ReCycle - used adult and children bikes for children in South Africa. Fahrrad.de is collecting adult and children used, working bicycles (don’t have to be in perfect condition) and is sending them to SOS-Kinderdorf in Capetown and Pietermaritzburg, South Africa. If you go into the Fahrrad.de website, then click on ReCycle you can get to the Abholformular (pick-up formula) and they will pick up the bike at your house. They will be checked out and then shipped to South Africa. If you have any questions about whether your bike is something they are looking for you can call 08005500001.